RELEASE: Edinburgh, UK, 30 January 2017. 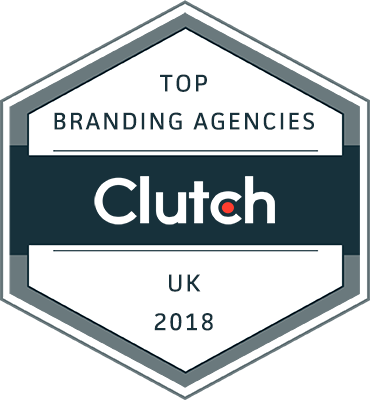 Industry barometer Clutch.co has named Evviva the number one branding agency and naming agency in the UK. Clutch.co uses a rigorous combination of industry data and client interviews by Clutch resources to determine industry leaders in B2B services. Evviva Brands Ltd scored an average of 4.9 out of a possible 5 in client reviews. Evviva Brands has an unconventional backstory. Launched in San Francisco and Edinburgh at the lowest point of the Great Recession in 2009, it has an expert team of full-time staffers and draws on an impressive roster of Edinburgh-based freelancers. Starting at founders’ David Kippen and Cate Newsom’s respective homes in California and Scotland, this privately-held agency has soared on reputation alone. Since 2009, Evviva Brands has picked up heavy-hitting clients again and again, beating out larger multinational agencies. Evviva clients include AbInBev, Amazon, Alaska Airlines, Atlassian, ​Blackrock, E.ON, Google Fiber, Marriott, Microsoft, The Ritz-Carlton, University of Edinburgh, US Government (Office of Personnel Management) and Walmart, all of whom can now draw on an impressive pool of Scottish creative talent. Evviva break with conventional brand agency practice by rejecting trendy design thinking in favour of an ethnographic approach. Like a management consultancy, they gain an in-depth understanding of the client’s strategy, mission, unique strengths and challenges before introducing a fresh creative plan. The abundance of agency talent in Scotland is a perfect fit for the abundance of need in client locations around the world. The eight-hour time difference means Evviva effectively functions with two full workdays to every 24 hours. The Edinburgh branch wasn’t launched as a satellite outpost to deal with a single international client, but has always been integral to Evviva’s entire client base. Projects are handled simultaneously in both the US and Scotland. Evviva has one office and one management structure in two locations, rather than two silos working inefficiently in isolation. In an industry where local knowledge is essential and often untranslatable, Evviva has turned this two-location structure into strength in diversity. “They’re the best marketing team I’ve ever worked with.” – Tom Rooney, CEO, Energy Recovery. “Their ability to tease out insight and their observation skills are really unique.” – VP of Corporate Communications, Equipment Manufacturer. “They delivered everything I wanted and then some. They were just excellent.” – SVP of Human Resources, Global Engineering Company. In 2018 Evviva plans to expand and deepen their naming practice and anticipates launching a new “brand playbook” product to help client marketing teams manage brand messaging more easily and efficiently.